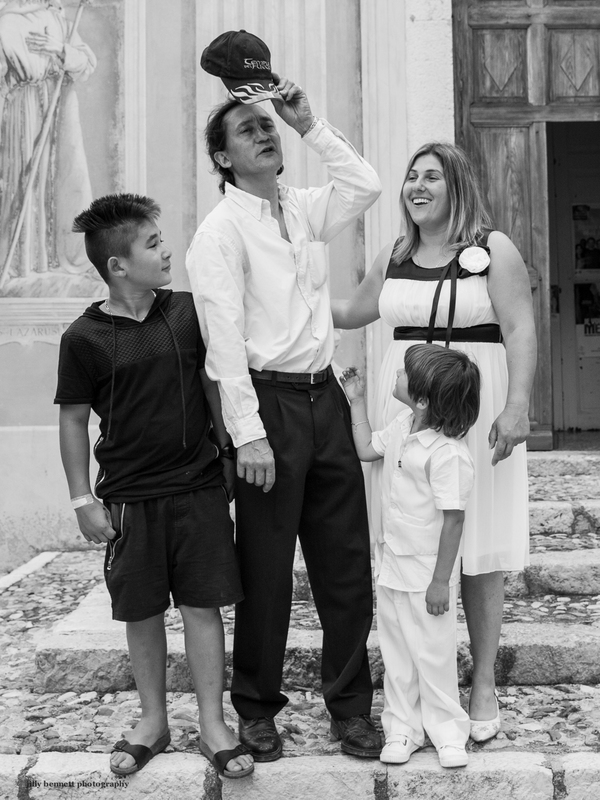 This adorable child is Nathan who was baptised last Sunday in the church of St.Barthélémy in Gorbio. You can see him in the smaller photo with his parents and elder brother. Everyone in the village and the valley knows his mother, Christelle - she is our always-smiling always-friendly post lady. 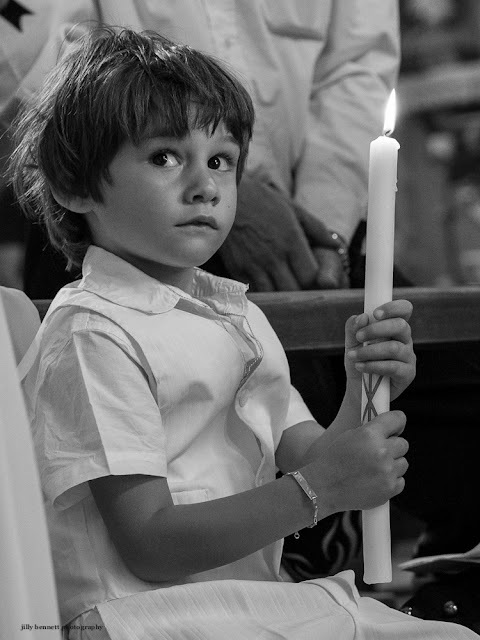 Cet adorable enfant c'est Nathan qui a été baptisé dimanche dernier dans l'Église St. Barthélémy à Gorbio. Vous pouvez le voir sur la plus petite photo avec ses parents et son frère aîné. Tout le monde dans le village et la vallée connaît sa mère, Christelle -c'est notre factrice, toujours souriante, toujours gentille. A wonderful portrait of him. Stunning. I assume you took this inside the church but I wonder how you exposed it to get such clarity and sharpness on the eyes. Using the Canon, I assume.